Mostly I post my journals done in composition books, but whatever catches my fancy is likely to show up here. You can click on the photos to get a larger view. Text reads Don't Hold Back. 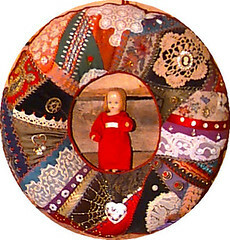 This is a Flickr badge showing photos in a set called Art Journal. Make your own badge here. 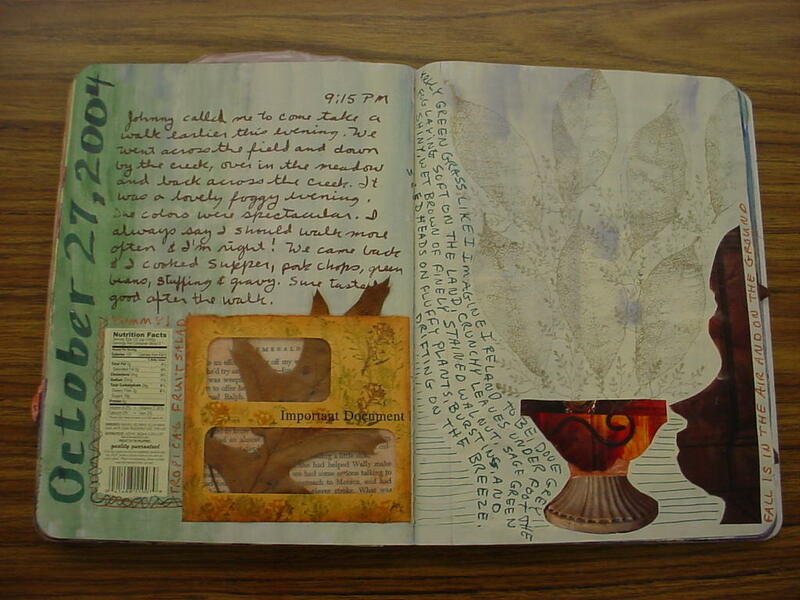 I did this page after a great walk around the farm and yes, across Bay Creek. I think I need to go over the rubber stamped leaves with something darker. They don't show up enough. I love the way the envelope turned out. I did another one on the page for today.